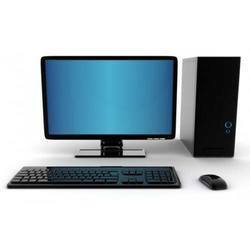 Building or assembling a computer would be the best ways of getting a machine as per your needs. If you’re a first-timer, you need to watch your steps as a small mistake can cost you big in the long run. Although there are some basic steps involved, yet there are few things which most of the computer builders learn only after committing errors and after wasting enough time. If you don’t want to commit the same mistakes while creating a cheap assembled desktop, follow the desktop assembling tips mentioned below. Test everything before you start building: You may receive a part which is dead after it arrives. Although this is rare but it does happen and if you take a look at the reviews, you will know that. Would you want to spend the whole day building your computer only to later on plug it in and get a DOA motherboard? The box of the motherboard can be tested completely. Put it on the top of its box, install CPU, RAM, CPU cooler and video card, hook everything up and switch on the power to check whether it works. If you can get into the BIOS, you will know whether or not anything is dead. Thermal paste shouldn’t be overdone: This is one of the silliest steps but at the same time, people argue a lot. Don’t make the mistake of putting a big blob or spread it with a debit card when you could do that in an easier way. Be careful about putting a pea-sized dab in the middle, put your heatsink and go on screwing as the pressure itself will spread it. Don’t go for any other step. Create the right airflow: You will definitely be aware that a dusty and hot computer is always bad. Pay extra focus on the directions to which your fans are facing and try your best to get the air flowing in one direction which is usually in front of the case and out of the back. Positive pressure of air coupled with filters will mean that you will have less dust settled inside the computer. So, if you’re a novice computer builder, make sure you follow the above mentioned desktop assembling tips. The more careful you are, the better will be the outcome of your efforts to assemble your computer. Know more about computer & technology.